The World Wide Web is commonly perceived as the ultimate tool of homogenizing culture through dominant platforms such as Google and Facebook, and consequently as the major culprit in the loss of ground of local cultures. 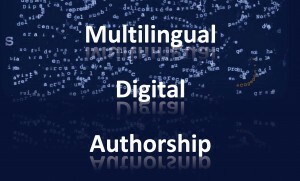 Digital cultures are also plural, however, in terms of both forms and languages. They not only continue pre-digital traditions through new modes of expression, but also invite us to rethink the nature and role of cultural heritage, language, identity, and their relationships. At the same time, the web remains a dynamic space that allows for a more fluid mixing and cross-fertilization of cultures than was ever possible before. The inaugural symposium (see the full programme here) of the two-year project The Creative Web of Languages, funded jointly by the Multilingualism: Empowering Individuals, Transforming Societies AHRC Open World Research Initiative and Lancaster University’s Faculty of Social Sciences and Department of Languages and Cultures, and organized in partnership with the Electronic Literature Organization, brought together multilingual digital artists and authors with scholars working on digital cultures to explore the ways in which digital creativity uses and produces languages and opens new perspectives on them. This event also continues our previous discussions in the Screening the Literary: Writing Quality on the Web workshop held in October 2016. Jannis Androutsopoulos – himself a Greek linguist based at the University of Hamburg writing mostly in English – has proposed the term ‘networked multilingualism’ (Androutsopoulos 2015) to describe the distinctive mode of multilingual experience enabled by the digital environment. He highlights the value of computer-mediated discourse in extending the theorization of ‘“fluid” and “flexible” relations between language, ethnicity and place as well as between linguistic practice and the ownership of language’ (185-6). 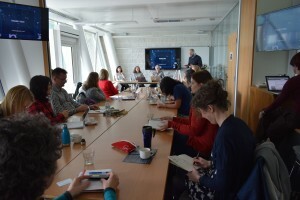 The symposium combined this approach with Serge Bouchardon’s (2014) observation that electronic literature can be considered a privileged mode of digital writing which serves as a laboratory, an experimental space to rethink writing at the same time as the digital tool and space on the other. 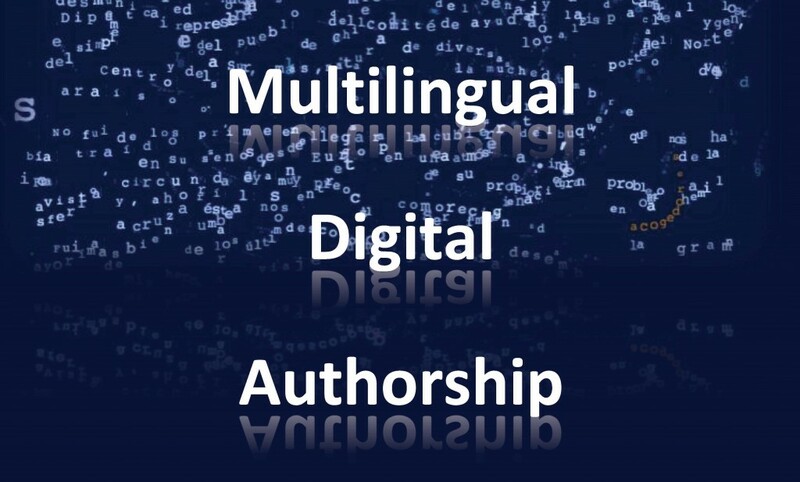 The aim was therefore to explore the creative potential of networked multilingualism on the one hand and the place and uses of multilingual competencies and the coexistence of languages in creative digital practices on the other. A closely related discussion has emerged recently in scholarship on electronic literature on the role of specific individual languages and cultural traditions in this supposedly global literature. Serge Bouchardon (2014) has indeed retraced the history of French digital literature, Claire Taylor and Thea Pitman (2007, 2013; Taylor 2014) have mapped out the specificities of Latin(o)-American digital culture, Michel Hockx (2015) has published a book on Chinese electronic literature, Reham Hosny just finished her thesis and created a network on Arabic e-lit, and articles (in English) have presented Polish, Japanese, and other electronic literatures. Leonardo Flores (2017), on the other hand, argues that national traditions have little relevance in electronic literature, the development of which is more determined by technological advances that do not stop at national borders. The programming languages used and the software and hardware available is a question of (historical) time, rather than of space. The two sides of the debate are nicely drawn out in these snippets of interviews with Alexandra Saemmer and María Mencía. Their responses also highlight that the question of the existence of distinct linguistic and cultural traditions within electronic literature is inseparable from the place of multilingualism in this space. Claire Larsonneur (Paris 8) spoke about translation from another perspective, looking at the evolution of neural machine translation and chatbots across languages and considering the market and the potential future impact of software taking over the language industry. She concluded that it will require us to rethink authorship, including copyright, but that the same tools that enable the exploitation of ‘humanware’ in the same industry also give humans the opportunity to share experiences and identify bad clients through sites such as Turkopticon. The two other panels of the first day included a variety of perspectives ranging from bilingual London-based French bloggers (Saskia Huc-Hepher, University of Westminster) and the code mixing of the French online magazine Usbek & Rica (Yohanna Joseph Waliya, University of Calabar) through multilingual Maltese author Antoine Cassar’s translingual poetry mixing six languages (Claudia Zucca, Trinity College Dublin) to the parody and criticism of digital platforms and global virtual stardom in German author Thomas Meinecke’s Lookalikes (2011) (Stephanie Obermeier, University of Kent) and the power of social media in supporting activism, demonstrated through the case of the Egyptian revolution (Marwa Elkhodairy, University of Central Lancashire). To highlight just two points among the many interesting ones made throughout these panels: Marwa’s case study emphasized the empowering potential of social media and translation in communicating towards the outside world in times of upheaval and countering the official discourses that try to silence other voices. Amateur video footage and their systematic public archiving is also crucial in preserving evidence that might otherwise be made to disappear by the authorities. The Mosireen Collective has created a substantial collection in the 858 Archive and provided English metadata to make it searchable for an international audience. Saskia Huc-Hepher, meanwhile, used the Internet Archive and the UK Web Archive, in which she created the French in London collection, to look at the history of the blog Tea Time in Wonderland, written by a French expat based in London. She analysed the evolution of the site in Bourdieusian terms and pointed out how the originally bilingual blog (now existing on two separate websites for either language) expressed a hybrid habitus and hysteresis, the experience of not fitting in entirely due to the individual carrying over a previous culture into a new environment. Readers of the blog interviewed for the research reported a similar feeling of in-betweenness that is most directly manifest in language: the sense of losing one’s mother tongue while never feeling entirely in control of the adopted one. The blog is then not only an expression of this experience, but also a virtual space where like-minded individuals can find some comfort. Canan Marasligil and Lou Sarabadzic, both authors, bloggers, feminists, activists, and translators living between languages, discussed the impact of their multilingual backgrounds on their work. Canan, who is of Turkish origin, grew up in Brussels, where she learnt French and Dutch, studied Spanish and English at university, and now lives in Amsterdam, works in five languages and considers translation to be a form of activism. She mainly translates Turkish literature and comics into French and English to show the little known richness and diversity of contemporary Turkish culture, and to carry the voice of politically committed authors across linguistic borders. Among her numerous web-based and participatory projects, City in Translation explores the omnipresence of multiple languages in urban spaces across countries. Lou, on the other hand, talked about the birth of her blogger self and public persona when she decided to share her experience of OCD, depression, and grief on two bilingual blogs, Predicted Prose and Tel Père, and on social media. While her first novel, La Vie verticale, and poetry collection Ensemble are in French and she tweets in either French or in English, Lou makes a point of having every post in both languages on Facebook in order to reach the largest possible audience. The posts are often politically committed to the feminist case and equality against discrimination, and also often drawn from literature. Both the blogs and the social media serve therefore an important activist function and translation is again a key tool in reaching farther. Claire Taylor (University of Liverpool) and Emanuela Patti (Royal Holloway) discussed Latin(o) American and Italian digital cultures respectively. Claire highlighted the importance of pre-digital media and culture and the impact of both national-linguistic cultural heritage and other traditions on Latin(o) American digital literary experiments, from Carlos Labbé’s hypertext fiction Pentagonal: incluidos tú y yo (2001) to Ricardo Miranda Zúñiga’s Undocumented Drones (2011/2012). Playing with established generic and cultural codes constitutes an integral part of critical discourses targeting contemporary mass media and neoliberalism. This is also strongly present in the Italian scene, which has been at the same time particularly active in collaborative and participatory projects. Emanuela, who works on the AHRC-funded Interdisciplinary Italy 1900-2020: interart/intermedia project and is currently completing a monograph on Italian digital cultural history, argued that Wu Ming is a case in point in redefining authorship by emphasizing the collective work and the political significance of narratives, remediated through online networks and performances. Odile Farge (Paris 8) then focused on the ways in which the digital tools and affordances shape ‘the language of new media’, to use Lev Manovich’s expression. All software comes with a predefined ‘rhetoric’ that enables a certain creativity but also sets narrow limits to it. A tool is a promise of creativity and freedom, but that freedom will be largely an illusion – and potentially a trap – for as long as the user does not understand the logic of the tool. Real authorial freedom only comes – if at all – with the ability to intervene at the level of the code. J. R. Carpenter continued this line of thought by explaining the various modes in which machine and human languages intertwine in her work. After highlighting the multi-layered textual and translational nature of digital literature, as well her own tendency to remediate works each time reimagining them in a different kind of materiality from digital to book and performance, J.R. focused on her upcoming book, An Ocean of Static. The printed text will be based on the digital work etheric ocean, mixing code with written and generated text, both fixing and disrupting the dynamic sense-making processes of the ‘original’ – which was itself just one version that is also never the same. J. R.’s work also often engages with nature and physical space, and this is what Amy Spencer (University of the West of England) took further in a different direction in her talk on the languages of ambient literature, which requires not only the user’s interaction with the machine – which in this case a mobile device – but also their presence in, and acknowledgement of, their environment. In Duncan Speakman’s It Must Have Been Dark By Then, for instance, the space the user moves in is not predefined but still becomes part of the story. Rather than the GPS triggering episodes in specific spaces, the narrative builds on the unpredictability of the place and objects the user will meet in their self-chosen routes. 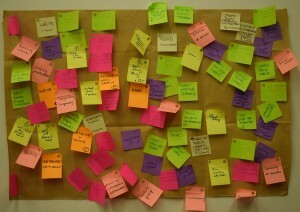 The user’s physical environment thus becomes an indispensable component of the language of the digital work. The roundtable titled ‘Languages and the Digital Space’ that concluded the symposium was an attempt to pull together the various threads and considerations that have emerged throughout the event and think about the next steps. 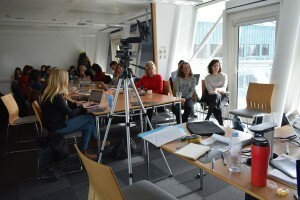 Among the panel members, Claire Larsonneur is interested in translation with an emphasis on the impact of digital technologies on the language industry, including the questions of authorship and copyright, and the use of artificial intelligence in language services and customer care more broadly. Claire raised the issue of translation becoming a utility and how that may affect the multilingual environment and pointed out that in the circulation of materials and services the borders are no longer so much linguistic as legal. Paul Spence (King’s College London), with a background in Hispanic Studies and digital Humanities, emphasized that English is far not as dominant in DH as it may seem from the Anglo-Saxon world, as organizations such as Humanidades Digitales Hispánicas testifies. Paul leads the Digital Mediations strand of the Language Acts and Worldmaking OWRI project, which ‘explores interactions and tensions between digital culture and Modern Languages research’, investigating and promoting the use of digital technologies in and for both teaching and research in Modern Languages. Digital literacy is another central interest of Paul’s work and he noted the current disjunction between levels in the UK school curriculum in this respect. Rebecca Braun (Lancaster University), a Germanist with a research focus on authorship and Co-Director of the Institute for Social Futures, leading its Creative Futures strand, and creator and Director of the Authors and the World research hub. Coming from scholarship on traditional forms of publishing and modes of authorship but well aware of the new forms of engagement, Rebecca wondered where the digital space exactly begins and ends and how authorship is constructed differently through it, in light for instance of the different language and discourses authors use on social media to communicate with their audiences. Joe Deville (Lancaster University), based jointly in Management and Sociology, is co-founder and editor of Mattering Press, an open access publisher dedicated mainly but not exclusively to monographs in social sciences. Joe is interested in the politics of academic knowledge production, and he reflected on the fact that he and the co-founders of Mattering Press, despite being diverse in terms of linguistic and cultural backgrounds, decided to publish exclusively in English (for now) due to the complexities of the task even in just one language, especially that they carry out their publishing activity without remuneration on the side of their contractual duties as academics. This decision, which indeed seems to have been necessary, can be considered symptomatic of the logic of collaboration and communication across cultures, as the symposium itself also demonstrated, with English as its sole language: the more linguistic and cultural diversity we would like to include in a shared discussion, the more we need a single shared language in which to communicate our respective perspectives. How can we avoid then the trap of reinforcing the dominance of one language when we need it to talk about the multiplicity of our languages? This may be a question of awareness and emphasis: we can use our shared language of communication as a tool that can highlight our diversity, rather than one that overshadows it. The digital space of any single language can be inhabited in such a way so as to point outwards and highlight its (linguistic) borders, rather than aiming to colonize the space currently occupied by other languages and cultures. 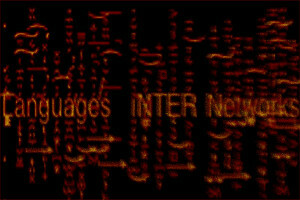 Digital artworks juxtaposing and mixing languages are a good example of how this might work, as they show precisely the dynamic and fluid nature of this space, allowing for the non-essentialist understanding of language and languages which, as Androutsopoulos (2013) observes, networked multilingualism as practiced by individuals and groups of users already practice in everyday interactions. Pointing towards the code and revealing the underlying layer of machine language, on the other hand, is important in helping to decrease our blindness to the ways in which the digital communication tools shape our interactions by standardizing them. The next step is then to think about how we can implement this mode of thinking and practices within the institutional frameworks that enable our actions and interactions, and also about how to apply them to those very frameworks. The understanding of individual and multi-layered linguistic and cultural identities, the functioning of mono- and multilingual societies in the digital age within well-defined institutional settings, and the political potential of the digital space in opening a different approach to languages and vice versa, the political potential of linguistic variety in enabling a better use of the opportunities provided by the digital space, seem closely connected issues which we need to think together – and which we need to think about together. The video recordings of this symposium will be available shortly on the YouTube channel of The Authors and the World. We will continue the discussions at the University of Paris 8 in October 2018 with a conference on Digital Authorship organised by Claire Larsonneur, and in June 2019 at Lancaster again on Web, Art, Language, Languages. Watch this space for updates or contact me at e.fulop@lancaster.ac.uk to sign up to the mailing list about the upcoming events. Androutsopoulos, Jannis. (2015). Networked multilingualism: Some language practices on Facebook and their implications. International Journal of Bilingualism, 19(2), 185-205. Bouchardon, Serge. (2014). La Valeur heuristique de la littérature numérique. Paris: Hermann. Flores, Leonardo. (2017). La literatura electrónica latinoamericana, caribeña y global: generaciones, fases y tradiciones. Artelogie 11. Hockx, Michel. (2015). Internet literature in China. New York: Columbia University Press. Taylor, Claire. (2014). Place and politics in Latin American digital culture : Location and Latin American net art. New York: Routledge. Taylor, Claire & Pitman, Thea. (2007). Latin American cyberculture and cyberliterature. Liverpool: Liverpool University Press. Taylor, Claire & Pitman, Thea. (2013). 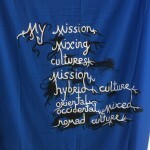 Latin American identity in online cultural production. New York: Routledge.